If you have opened this page the chances are that either you, or someone close to you, has recently been told that they have Parkinson’s. The first thing to keep in mind is that you are not alone. We are all different and each of us has our own personal story to tell, but whatever your age, young or old, you can be certain that someone else, someone just like you, has faced a very similar challenge. Parkinson’s does not discriminate on the grounds of class, intelligence, or overall physical fitness. Many people think of Parkinson’s as a condition that affects older people. It is true that it is more common with increasing years, but a lot of people are diagnosed with Parkinson’s in their 40s and 50s. Some are diagnosed much younger. These younger, more able people-with-Parkinson’s often go unnoticed. This is partly because, with good treatment, they look no different from anybody else and partly because they are busy getting on with the rest of their lives. For the majority of us Parkinson’s comes as an unexpected, uninvited, bolt out of the blue. At the moment it is unlikely that anybody will be able to tell you why one person (in this case you) has Parkinson’s, whilst most people do not. It follows that there is nothing or nobody to blame. It is not something that you brought upon yourself. Nobody deserves to get Parkinson’s, it most emphatically is not your fault, but it will from now on be an important part of your life. Getting to know your condition and how it is likely to affect you is healthy and can be a vital part of coming to terms with the diagnosis. There is a huge amount of material published online and the Parkinson’s UK website http://www.parkinsons.org.uk is an excellent place to start. The information on this site is reliable, impartial and easy to follow. Here you will also find links to many other trustworthy sites. Outside of friends and family there are other sources of support available to you. First amongst these is your local Parkinson’s support group. You will find information about the activities of the Long Eaton and District Parkinson’s group on the other pages of this website. When you have just been diagnosed you may, or may not, feel ready to engage with the local Parkinson’s community. 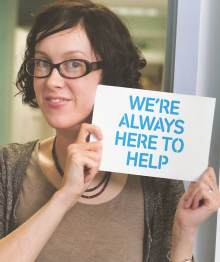 Our East Midlands regional team provides a range of support and information services for people with Parkinson's, health and social care professionals, carers, and individuals or groups who may want to volunteer or support our work. Our East Midlands team provides a range of services for people affected by Parkinson's, professionals and anyone who wants to support us. Our information and support workers (ISWs) provide one-to-one information and support to people with Parkinson's, their families and carers. This may include benefits advice, emotional support and links to local and other services.